f you are a fan of the unconventional, like the new and want to own the different then stay with us because this video review will escape from the contemporary tech reality most brands have shaped in a pretty conventional way. You are probably already wondering where I am going with this… well, I am going pretty far away from what we have seen in terms of design. 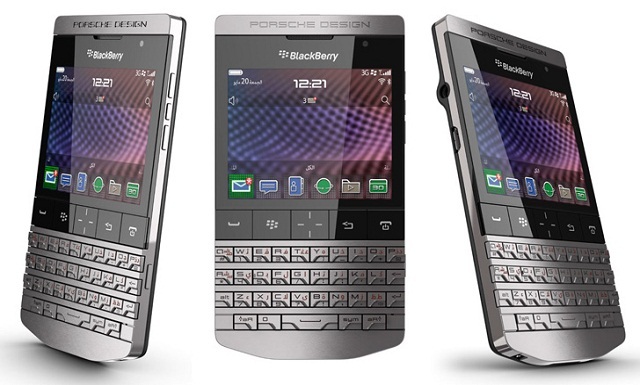 Dear digital viewers, we tested for you the exceptional BlackBerry Porsche Design P9981. This extraordinary design along with the materials used belong to the massive and heavy size category with its 115mm height, 67mm width and 11.3mm thickness. The weight is also massive – 155gr. The chassis combines anodized aluminum and crystal coverage along the display borders and the auxiliary buttons and it creates a pretty stylish effect. The body looks heavy and solid, its periphery is clean and simple except for the few controls which include a microUSB port also playing the role of a charging port and the 3,5mm audio output. The back panel of the headset provides a comfortable grip both when typing and also talking. The display is a TFT capacitive touchscreen with 16M colors. Its 2.8 inches provide a pretty decent pixel density of around 286ppi. To be fully in charge of the controls just below the screen you are provided with an optical trackpad. Except for it you have four more quick-access keys for calls, menu back and end/power. The typing experience is also complete and pleasant with the QWERTY 30-key keyboard which is one of the features that contribute the most to the overall original appearance. However if you are not used to this kind of a mobile keyboard it may feel a bit awkward in the beginning and it will take you some time to get used to using it. The track on which this Porsche runs is BlackBerry OS 7.0. The engine role is played by a Qualcomm MSM8655 Snapdragon chipset 1.2GHz. And the graphic performance belongs to the hardware element called Adreno 205. The RAM is 768MB.The BlackBerry’s exceptional design, inspired by Porsche, comes with 8GB built-in storage but the brand has provided a microSD card slot that can expand the user memory with 32 more GB. With the hardware fill I just mentioned the voice quality during the calls is guaranteed. 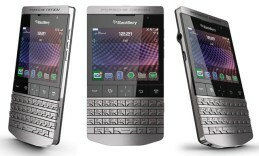 The base camera on the BlackBerry P9981 is a 5MP front-facing one at 2592×1944 pixel resolution. It features all of the most common camera functions with most smartphones – autofocus, geo-tagging, face detection and last but not least image stabilization. The camera is equipped with a strong LED flash, it can also capture video at 720p. The Li-Ion 1230mAh battery will provide you with call time of around 5 and a half hours and 348 hours in stand-by.